Go here to Request a Demo or Learn More about the Tripla 0.0. 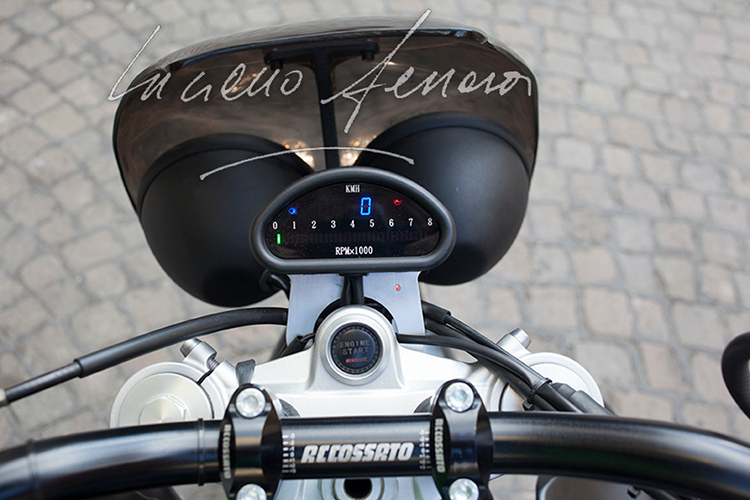 Enter Sergio Giordano, founder of Italian Dream Motorcycle, whose team of professional racing mechanics are uniquely qualified to build high-performance custom motorcycles. 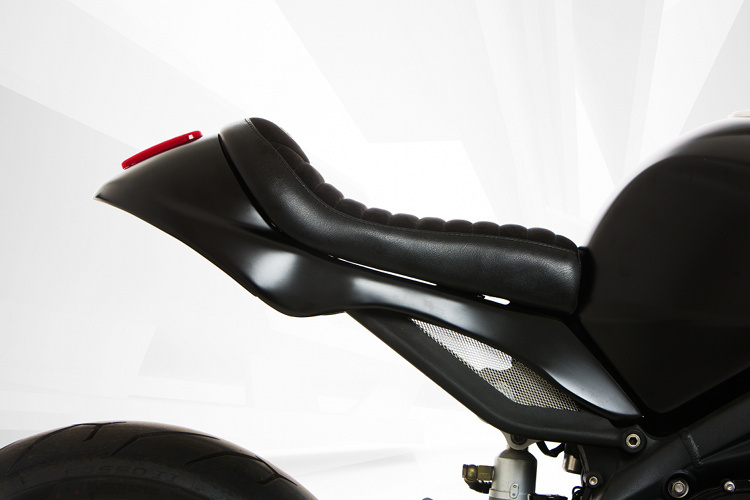 The tail, seat, and carriers are entirely hand-crafted, while the tinted front fairing exposes the iconic eyes of the Triple series. 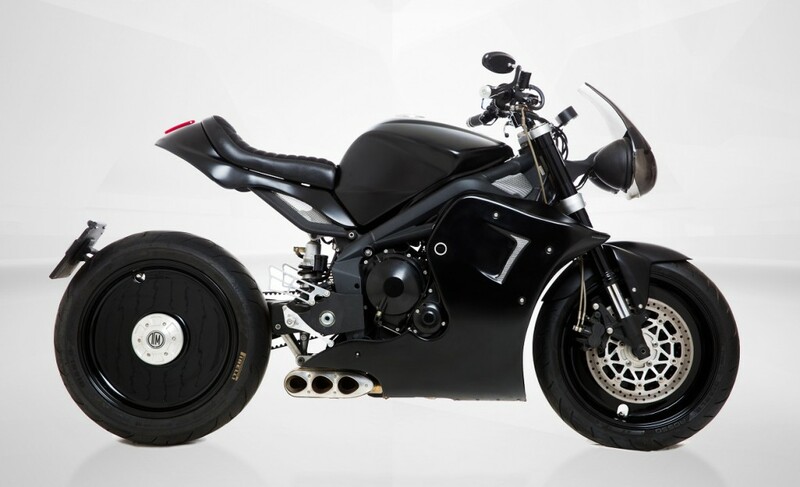 The rims are machined out of solid blocks of metal, giving the Tripla 0.0 a stealthy look, while the triple mouthed exhaust screams the noise of the triple cylinders. All in all, the Tripla 0.0 is one of the most striking customs we’ve seen — a futuristic yet timeless interpretation of the Triple series, built by a team of Italian race mechanics to honor an icon of the motorcycling world. 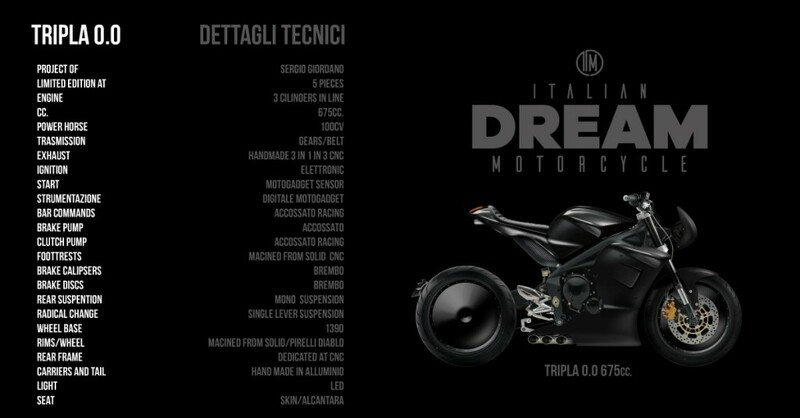 Italian Dream Motorcycle is limiting the series to five units, available through The Arsenale — the world’s leading online marketplace for micro industrial and independent builders. 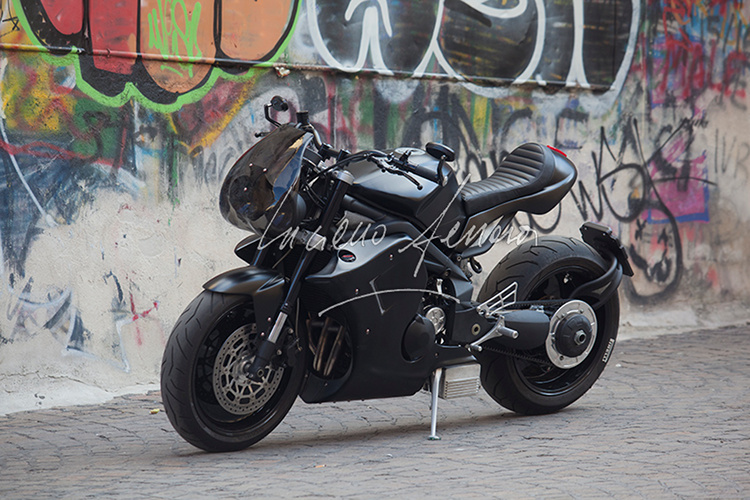 With offices in Hong Kong, Paris, and Dubai, the team at The Arsenale curates some of the most exclusives cars, yachts, planes, and motorbikes in the world — including those built by elite workshops such as Deus, Blitz Motorcycles, El Solitario, Diamond Atelier, and more. 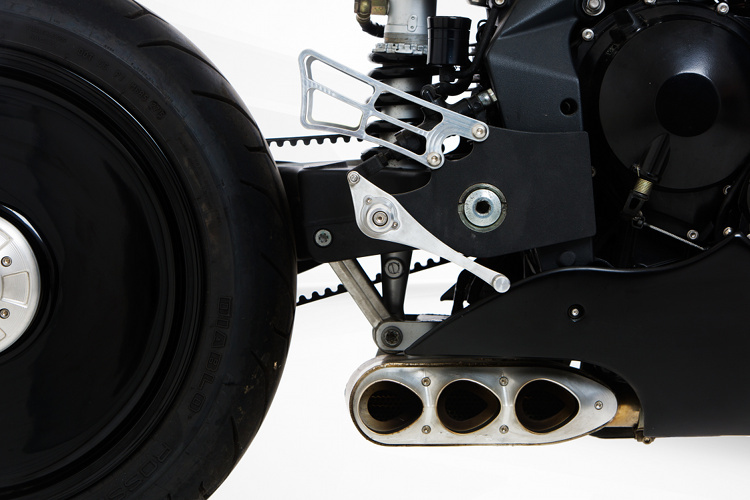 IDM was born from our passion about dreams, engines, and freedom. 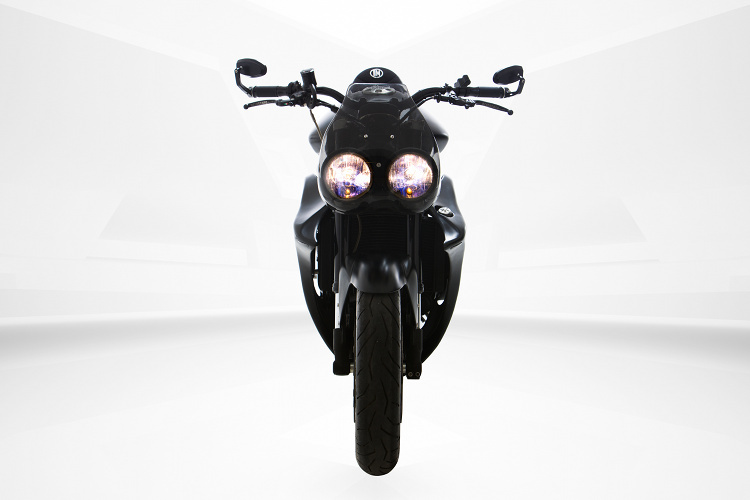 Our mission is to create high performance vehicles, made specifically for mechanic electronics and cycling. Our engines are inspired by our Italian heritage and fine-tuned by our years of mechanics’ experience in the racing world. 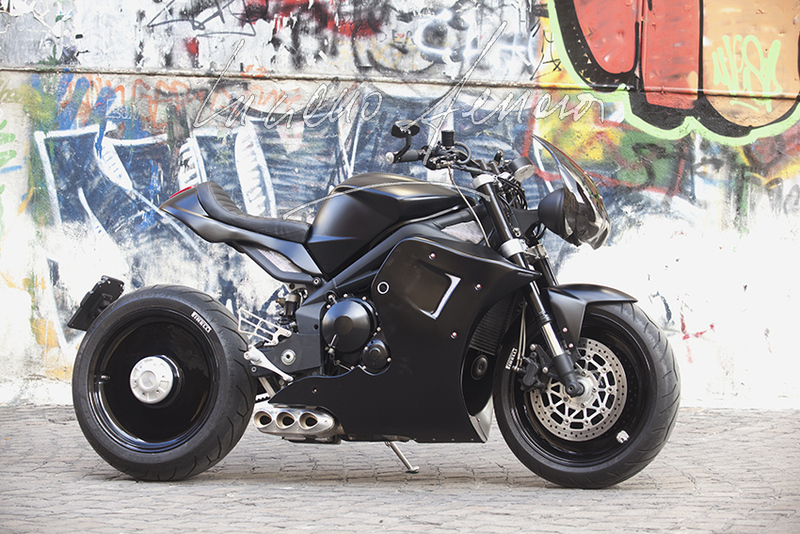 At first glance, you might think this is a Speed Triple based motorcycle, but you’re wrong. 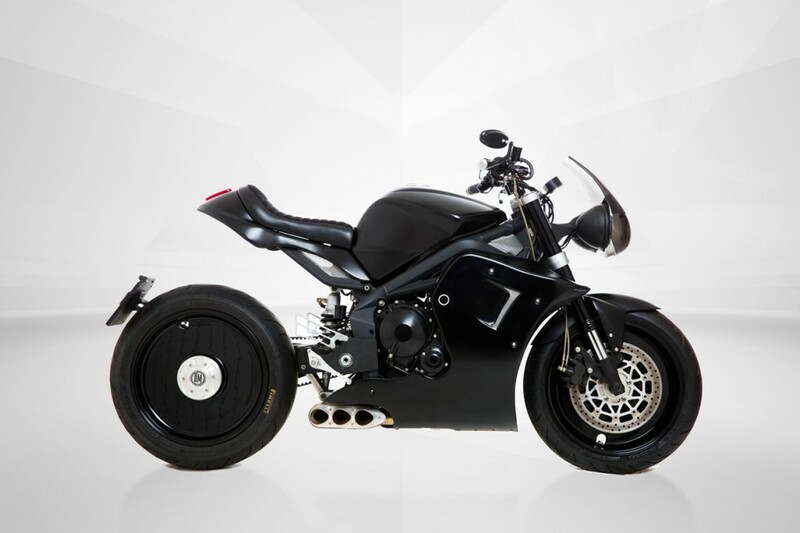 It is actually based on the Triumph Street Triple 675cc from 2009, with the monoshock and the belt transmission. It offers a different riding experience. 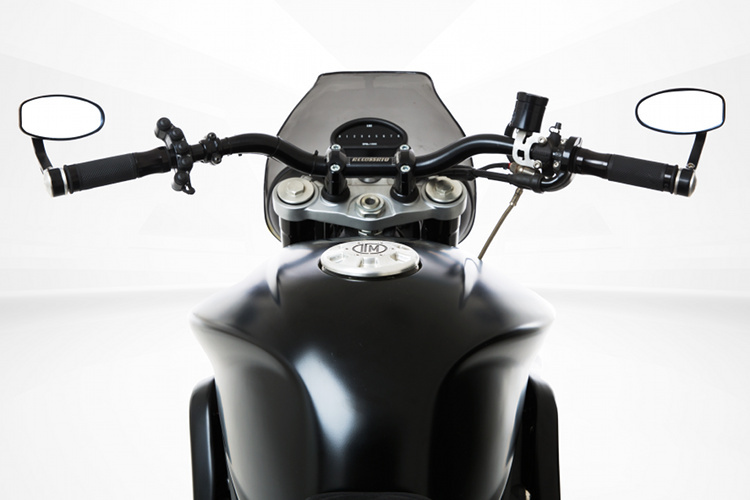 It was our first job — we wanted to pay tribute to an icon of the motorcycle world, which in reality is all Italian, but few people know, the Speed Triple. 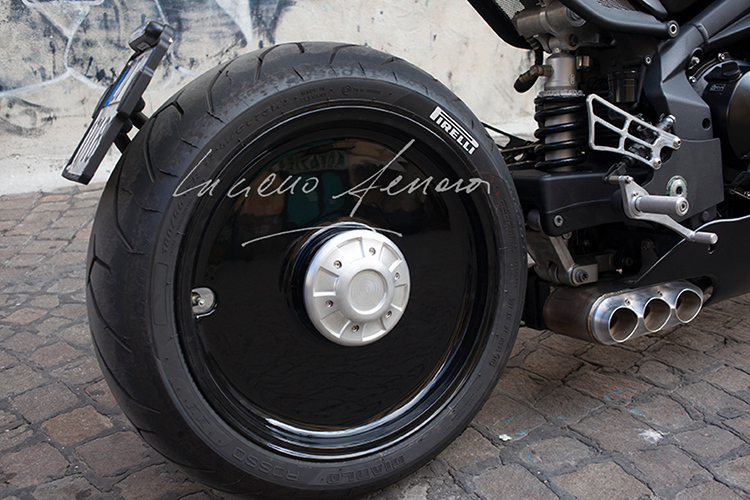 There our bike wants to be a tribute to the genius of Carlo Talamo. We wanted to make a bike with a design that was firm over time. The Tripla 0.0 certainly has a Futurist image, but it could have been made 20 years ago. 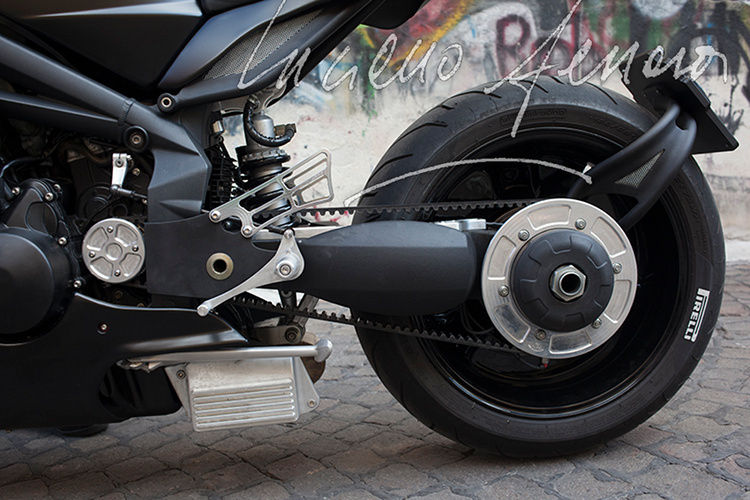 The thing more important is that its stylistic dictates, then reveal the important technical solutions, such as rims made with two discs machined from solid, the monoshock, and the belt drive. Except for the engine block, the front part of the frame, and the front suspension, all the components have been rebuilt or replaced. All our work has been done by our technicians who work in the racing world, which guarantees a perfect functioning to the maximum of their performance. 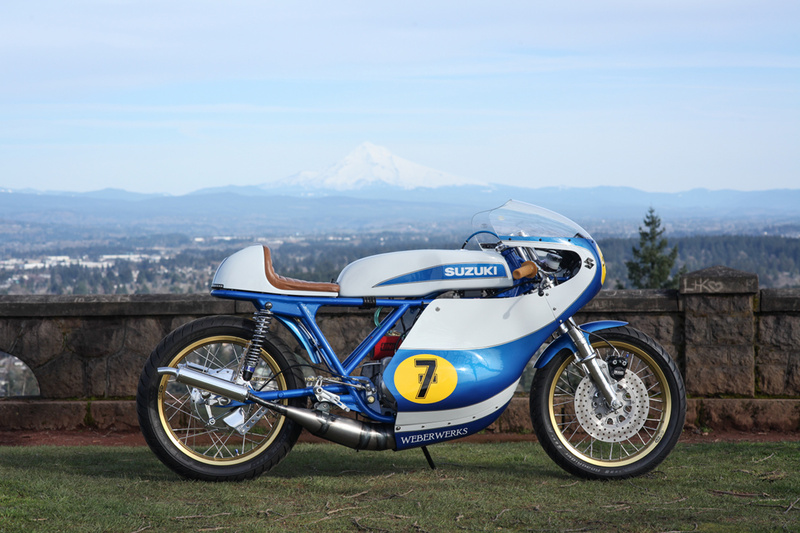 All the back and the fairings are handmade from aluminum. 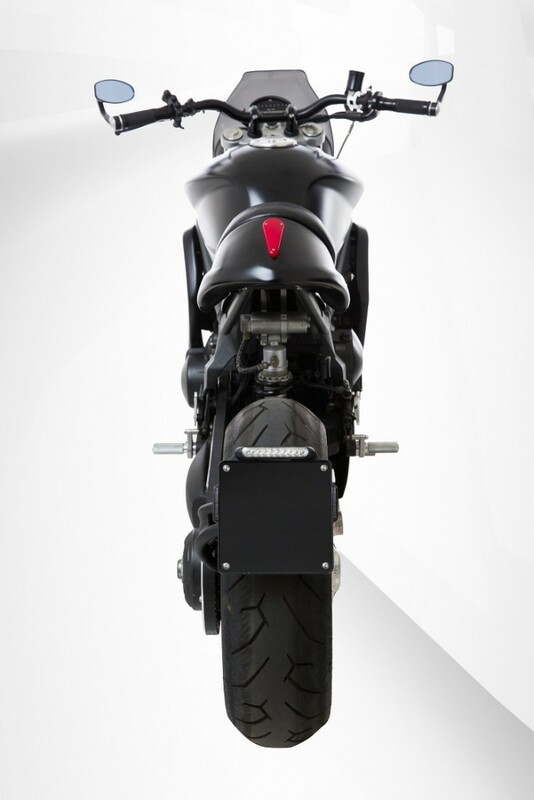 We are very happy and proud of the success that the motorcycle is having outside the custom context. 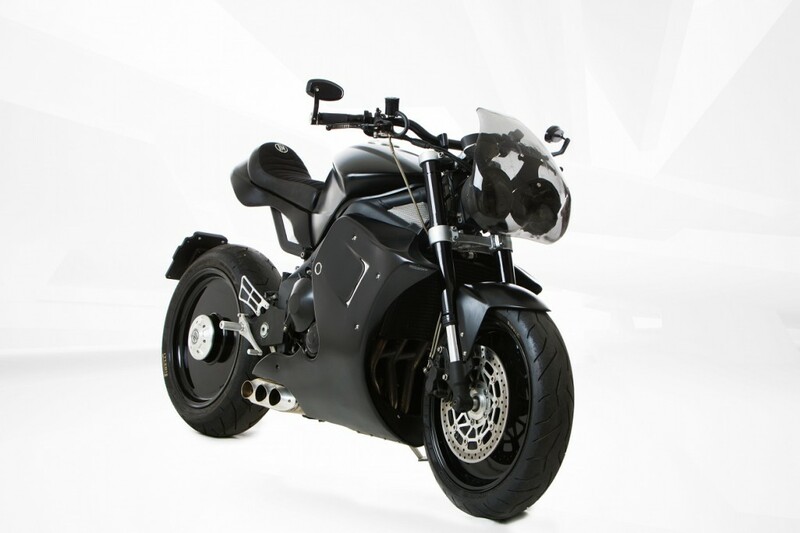 The criticisms made at the presentation of the bike at the EICMA have become its strong point — like its being completely black. 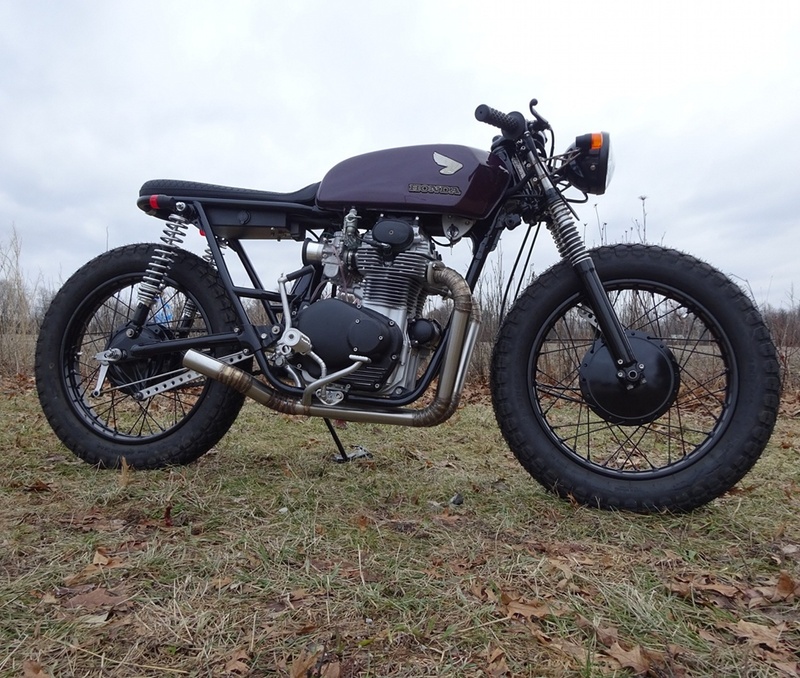 This is gorgeous, bravo, bravo….. superbly done! BRILLIANT, masculine and beautiful too. Insane! Even if you only see the pictures, a lot of stunning and unique solutions are visible. 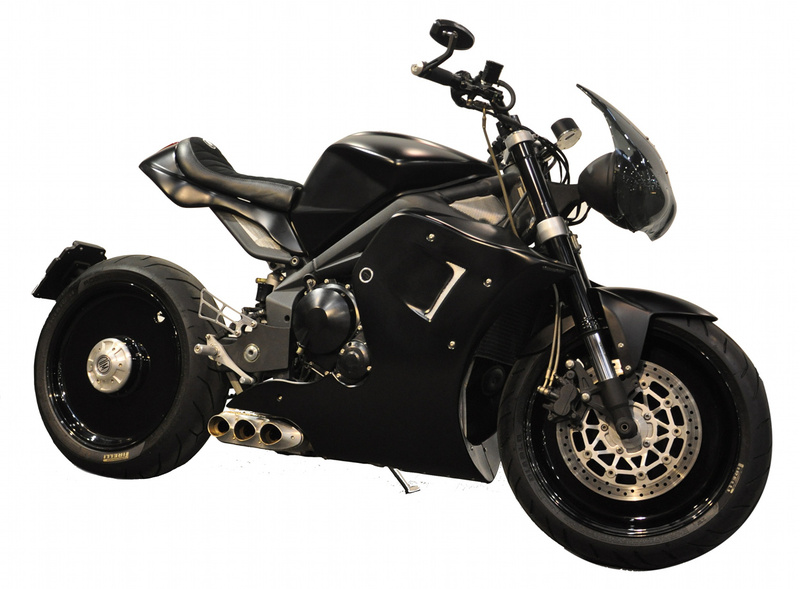 A Mad Max Stealth Style bike! Well done guys!